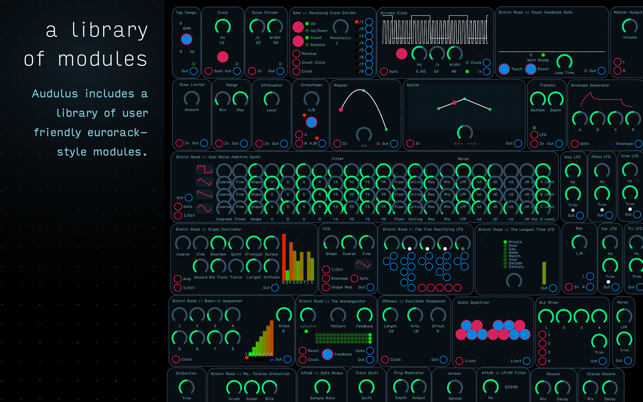 Audulus is a minimalist modular audio processing application. Design sound from first principles. 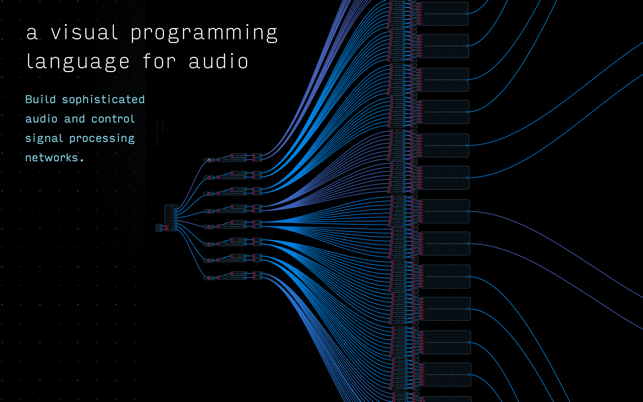 With Audulus, you can build synthesizers, design new sounds, or process audio. All with low latency real-time processing suitable for live performance. 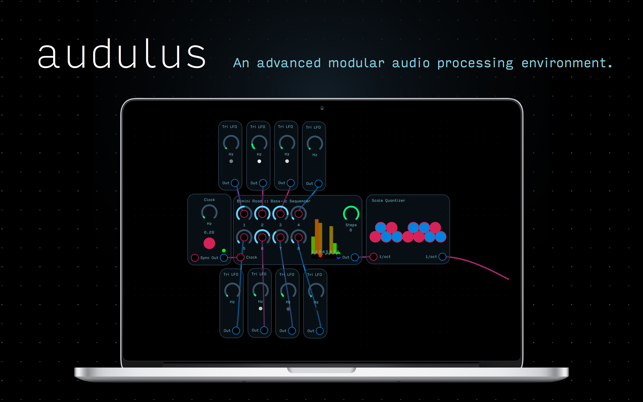 Audulus's user interface is clean, simple, and easy to learn, allowing you to focus on sound. "The biggidy bomb coolest most super tech-nerd fun times soft synth I've bought in recent times!" "Love this App. It has one of the best UIs I've ever used." • Math expression module -34 Math nodes in one! • Switch pack - two nodes for signal routing, more to come! • Poly pack - Stereo and Quadraphonic processing! - Switch to Metal for rendering. This is a great application for creating any module for synthesis out of nodes. Then you can arrange those modules into any configuration that you can think up! Seriously, make a drawing of any interface from your favorite synth and create it! Or take the filter interface from this synth and the arpegiator from that synth and make something new. There are other programs that allow you to do this, but Audulus has a really consistant look and feel without being too arcane. What’s more, the support is TOP NOTCH! If you are confused or need help realizing some idea you have, Mark will work with you to figure out how or if it can be done. If you find a bug, and this actually happened to me, Taylor will send you a patch update. I really have never experienced better support for an app. But that wouldn’t mean anything unless this was a SUPER USEFUL SYNTH-BUILDING MACHINE… and that’s exactly what this is. Recent updates have refreshed the library of modules to smaller more useful units that allow even more flexibility when patching. Still the best! Thanks so much Cryptoclassic! Let us know if you need anything support@audulus.com and if you're not already on the http://forum.audulus.com, we'd love to see you there! Without a doubt Audulus continues to be the preeminent soft modular synthesizer available for either the macOS or iOS platform. With a clean, minimalist user interface design, a huge variety of nodes, factory supplied prebulit modules, and outstanding performance it is one of the best. The latest 3.4 update adds significant new functionality including the new ADC and DAC nodes which enable Audulus to be connected to a wide variety of multichannel digital audio interfaces including the Expert Sleepers ES-8 USB interface. 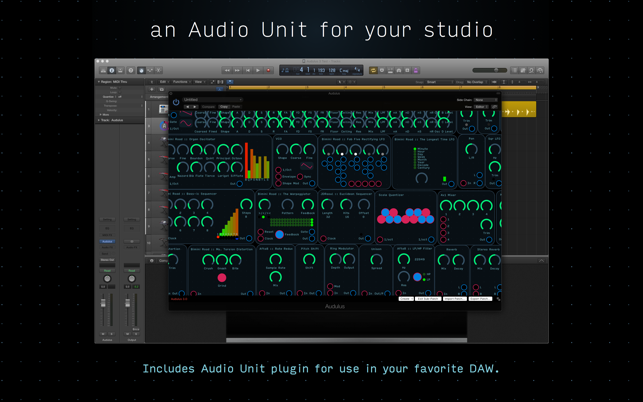 This allows Audulus to easily interact with traditional modular rack synthesizers as well as a wide variety of digital audio interfaces. With each new update the product continues to improve, with more undoubtly on the way. Truely the Minecraft of music making! With a vibrant user community and outstanding support, Audulus is a great way to explore all aspects of digital music creation. The latest update brings Audulus up to date with macOS High Sierra and once again demonstrates the ongoing support for the app. This is some amazing software and I’m impressed by what you can do with it. I used to buy lots of different soft synths and effects on the App Store, but once you get to a certain level with Audulus, you don’t need (or covet :-) ) the others so much because you can make new sounds all the time. Or you can just sit back and have Mark B. and the geniuses on the forums develop new patches you can use. Either is great. I’m late to the game on modular synthesis, but I’ve been a musician and software developer for quite a while. Audulus really appeals to my programming sensibility as well as my musical side so I’m using Audulus as a case study example of visual programming for some workflow software. Beautiful product, Taylor!